Mike joined in December 2016. 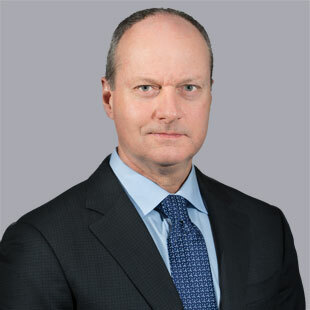 As Executive Vice President, Commercial, Eastern Canada, he focuses on leading overall performance for the commercial portfolio in the Eastern Canada. Mike and his team play an important role in leasing, real estate management and growth through supporting development and investment initiatives. Mike brings over 26 years of real estate industry experience. He was formerly Senior Vice President with GWL Realty Advisors, where he held various senior positions within the company. Most recently, he was responsible for the leadership, performance, and strategic direction of all commercial properties in the Greater Toronto Area. Previous positions include Development, Leasing, and Construction with a private real estate development company. Mike holds a B.A. in Business Administration from Oswego State University in New York, and currently serves on the board of Toronto’s Financial District BIA. Mike is committed to fostering a culture of collaboration within QuadReal to collectively accomplish great things for all with whom we do business and engage.